Buying a West Texas driller is the quickest way for the $337 bln oil giant to catch up with peers on replacing reserves. Valuations have fallen a third or more while Exxon’s remains steady. The trick for CEO Darren Woods is to find enough cost cuts to justify paying a premium. An Exxon sign is seen at a gas station in the Chicago suburb of Norridge, Illinois, U.S., October 27, 2016. Valuations of stocks with assets primarily in the Permian have fallen over the last year. Pioneer Natural Resources’ enterprise value is just under nine times its earnings before interest, taxes, depreciation and amortization compared with around 15 times last year, according to Thomson Reuters data. Parsley Energy’s value has fallen by roughly a third. Over the same period, Exxon Mobil’s valuation has held steady at roughly nine times EBITDA while its direct competitors’ multiples have fallen. Chevron, for example, trades at roughly seven times EBITDA. 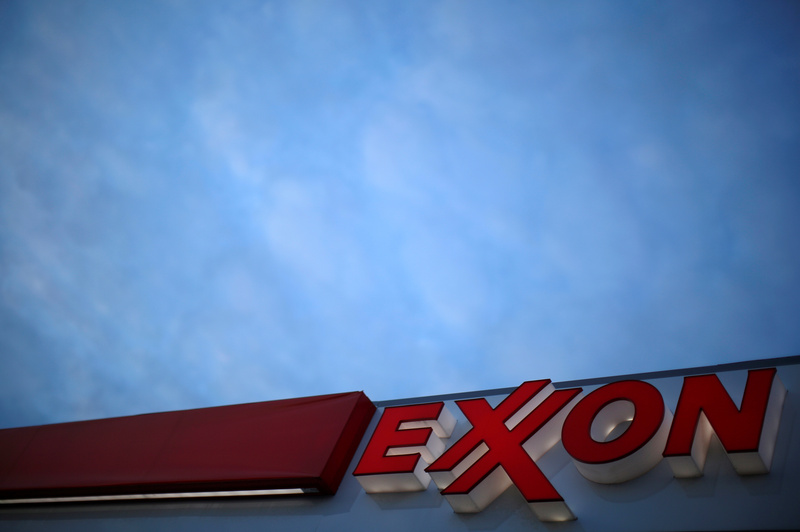 Exxon production fell by 1 percent to 3.9 million barrels a day in the second quarter, the company said on July 28. On the same day, Chevron said its overall production rose by 250,000 barrels a day, equivalent to a 10 percent increase over the quarter, thanks in large part to a one-third jump in Permian output. Last year Exxon replaced only 65 percent of its reserves, whereas Chevron and ConocoPhillips replaced 95 percent and 78 percent, respectively. Shell nearly doubled its reserves. In January, Exxon paid $5.6 billion to acquire 250,000 acres of land from the Bass family of Fort Worth, Texas. On March 1, Exxon said that it plans to spend $22 billion in capital and exploration in 2017, including in short-term drilling projects in North Dakota and Texas.